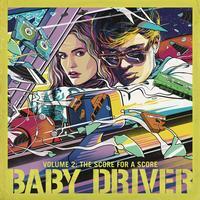 This special album follows Music from the Motion Picture Baby Driver, the 30-song soundtrack from Edgar Wright's critically acclaimed, music laden blockbuster film "Baby Driver." The fast-paced soundtrack garnered two Grammy Nominations including for Best Soundtrack. The film "Baby Driver" was written and directed by Edgar Wright, and tells the story of Baby, a talented, young getaway driver who relies on the beat of his personal soundtrack to be the best in the game. New Orleans Instrumental No. 1 – R.E.M.